Draft: 2014, Milwaukee Brewers, 11th rd. Is married.....wife's name in Jonie ... Graduated from Wheeler (MS) High School, where he also played football and basketball ... Attended Mississippi State University ... Pitched in the Cape Cod League in 2012 for the league-champion Harwich Mariners ... Enjoys hunting, golf and fishing ... Follow him on Twitter (@B_Woody24). Entered 2018 as the top prospect in the organization according to Baseball America ... Went 3-0 with a 3.61 ERA and 1 save in 19 games (4 starts) with Milwaukee ... Made his first career Opening Day roster.....had six stints with the team (Opening Day-4/6, 4/25-4/30, 5/11-5/23, 6/10, 7/13-7/23 and 9/1-end) ... Went 1-0 with a 6.32 ERA in 4 starts (15.2ip, 11er) and 2-0 with a 2.03 ERA and 1 save in 15 relief appearances (26.2ip, 6er) ... Held opponents to a .226 batting average with 47 strikeouts in 42.1 innings ... Hit his first Major League homer on 7/13 at Pittsburgh with a solo shot off Nick Kingham ... Notched the first save of his professional career on 9/17 vs. Cincinnati ... Made 17 starts at Triple-A Colorado Springs, going 3-2 with a 4.04 ERA ... Appeared in 4 postseason games (1 start), going 1-1 with a 2.19 ERA ... Started Game 1 of the NLDS vs. Colorado and tossed 3.0 scoreless/hitless innings (1bb, 3k) ... Won Game 1 of the NLCS vs. Los Angeles (2ip, 4k).....belted a game-tying solo homer off Clayton Kershaw to become the first pitcher in franchise history to hit a postseason home run ... Lost Game 5 of the NLCS at Los Angeles (5.1ip, 5h, 3r, 3er, 1bb, 8k, 2hbp). Entered 2017 as the seventh-best prospect in the organization according to Baseball America...Went 2-3 with a 4.81 ERA in 8 starts with Milwaukee...Had three stints with the team (6/13, 8/4-8/19 and 9/1-end)... The Brewers went 3-5 in his starts... Produced 3 quality starts... Went 1-1 with a 1.52 ERA in his first 4 starts (23.2ip, 4er) and 1-2 with an 8.84 ERA in his last 4 starts (19.1ip, 19er)...Originally joined the Brewers to start the first game of a doubleheader on 6/13 at St. Louis, but did not pitch due to a pre-game injury... Was placed on the 10-day disabled list on 6/13 with right hamstring tightness... Was reinstated from the disabled list on 7/25 and optioned to Triple-A Colorado Springs... Was recalled on 8/4 and made his Major League debut that night at Tampa Bay, earning a 2-0 win (6.1ip, 7h, 2bb, 6k).....his first career strikeout was Corey Dickerson (his first batter faced).. Was 6-5 with a 4.30 ERA in 16 starts a Colorado Springs, his first experience at the AAA level... Enters 2018 as the top prospect in the organization according to Baseball America. Named Brewers Minor League Pitcher of the Year after going 14-9 with a 2.68 ERA in 28 starts between Class-A Brevard County and Double-A Biloxi ... His 173 strikeouts led all of Minor League Baseball ... Was a Florida State League All-Star at Brevard County as he went 4-1 with a 1.83 ERA in 8 starts.....held opponents to a .205 batting average 49 strikeouts in 44.1 innings ... Was transferred to Biloxi on 5/16 and went 10-8 with a 3.01 ERA in 20 starts.....held opponents to a .211 batting average with 124 strikeouts in 113.2 innings ... Led the Southern League in WHIP (1.04) and opponent batting average (.211) and was among the leaders in ERA (3rd, 3.01), strikeouts (4th, 124) and wins (T4th, 10) ... Was named Southern League Pitcher of the Week twice, coming from 7/11-7/17 and 7/18-7/24 ... Was named Brewers Pitcher of the Month for July after going 3-1 with a 0.29 ERA in 5 starts.....had 42 strikeouts in 30.2 innings. Went 4-7 with a 3.45 ERA in 21 games (19 starts) at Class-A Brevard County ... Posted a 4.62 ERA over his first 15 games, all starts (76ip, 39er), and a 0.80 ERA over his last 6 games, making 4 starts (33.2ip, 3er). Went 1-2 with a 3.28 ERA in 14 games (8 starts) at Rookie Helena during his first professional season. September 1, 2018 Milwaukee Brewers recalled RHP Brandon Woodruff from Colorado Springs Sky Sox. July 24, 2018 Milwaukee Brewers optioned RHP Brandon Woodruff to Colorado Springs Sky Sox. July 13, 2018 Milwaukee Brewers recalled Brandon Woodruff from Colorado Springs Sky Sox. June 11, 2018 Milwaukee Brewers optioned RHP Brandon Woodruff to Colorado Springs Sky Sox. June 10, 2018 Milwaukee Brewers recalled Brandon Woodruff from Colorado Springs Sky Sox. May 24, 2018 Milwaukee Brewers optioned RHP Brandon Woodruff to Colorado Springs Sky Sox. May 11, 2018 Milwaukee Brewers recalled Brandon Woodruff from Colorado Springs Sky Sox. May 1, 2018 Milwaukee Brewers optioned RHP Brandon Woodruff to Colorado Springs Sky Sox. April 25, 2018 Milwaukee Brewers recalled Brandon Woodruff from Colorado Springs Sky Sox. April 7, 2018 Milwaukee Brewers optioned RHP Brandon Woodruff to Colorado Springs Sky Sox. September 1, 2017 Milwaukee Brewers recalled Brandon Woodruff from Colorado Springs Sky Sox. August 20, 2017 Milwaukee Brewers optioned RHP Brandon Woodruff to Colorado Springs Sky Sox. August 4, 2017 Milwaukee Brewers recalled Brandon Woodruff from Colorado Springs Sky Sox. July 24, 2017 Milwaukee Brewers optioned RHP Brandon Woodruff to Colorado Springs Sky Sox. July 19, 2017 Milwaukee Brewers sent RHP Brandon Woodruff on a rehab assignment to Colorado Springs Sky Sox. July 15, 2017 Milwaukee Brewers sent RHP Brandon Woodruff on a rehab assignment to AZL Brewers. June 13, 2017 Milwaukee Brewers recalled RHP Brandon Woodruff from Colorado Springs Sky Sox. June 13, 2017 Brandon Woodruff roster status changed by Milwaukee Brewers. April 5, 2017 RHP Brandon Woodruff assigned to Colorado Springs Sky Sox from Biloxi Shuckers. March 8, 2017 RHP Brandon Woodruff assigned to Milwaukee Brewers. July 24, 2016 Biloxi Shuckers activated RHP Brandon Woodruff from the temporarily inactive list. July 16, 2016 Biloxi Shuckers placed RHP Brandon Woodruff on the temporarily inactive list. May 15, 2016 RHP Brandon Woodruff assigned to Biloxi Shuckers from Brevard County Manatees. April 2, 2015 RHP Brandon Woodruff assigned to Brevard County Manatees from Helena Brewers. June 13, 2014 RHP Brandon Woodruff assigned to Helena Brewers. 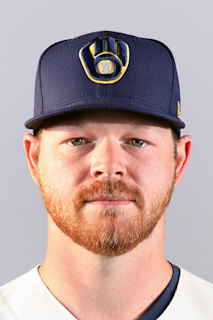 June 12, 2014 Milwaukee Brewers signed RHP Brandon Woodruff.